Drama series can often be years in the making, trudging through development hell before finding a route to air. Not so for Little Women, the three-part miniseries that proved a popular addition to the BBC’s Christmas 2017 schedule and is now set to air in the US on PBS Masterpiece, beginning this Sunday. “We got the greenlight just before Christmas 2016 but there were no scripts,” recalls executive producer Sophie Gardner, the former head of drama at producer Playground Entertainment. 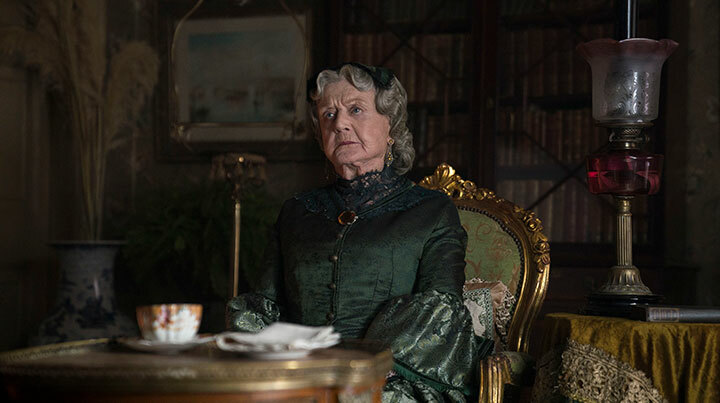 That meant Heidi Thomas (Call the Midwife) faced a tight deadline to turn around the scripts, based on Louisa May Alcott’s classic novel, while the production team also faced a battle to put the cast in place. “You need a script to be able to attract your Angela Lansburys as well, so it was quite a tight one,” Gardiner continues. “But because Heidi wrote them really well, her first drafts in each instance were great. Heidi knows the book inside out. There was also a very clear sense in her mind of what had stuck with her and what perspective she was writing it from. 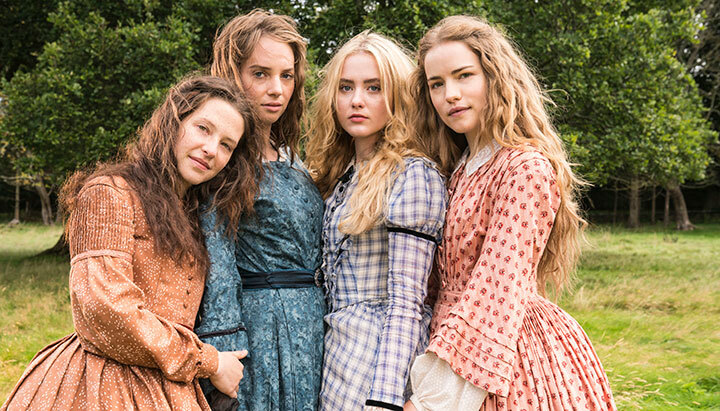 Set against the backdrop of a country divided, Little Women follows the four March sisters: Meg (Willa Fitzgerald), Jo (Maya Hawke), Beth (Annes Elwy) and Amy (Kathryn Newton) on their journey from childhood to adulthood while their father (Dylan Baker) is away at war. Under the guidance of their mother Marmee (Emily Watson), the girls navigate issues such as gender roles, sibling rivalry, first loves, loss and marriage, accompanied by the charming boy next door Laurie Laurence (Jonah Hauer-King), their cantankerous and wealthy aunt March (Lansbury) and benevolent neighbour Mr Laurence (Michael Gambon). The story is described a coming-of-age tale that is as relevant and engaging today as it was upon the book’s original publication in 1868. The three-part show is distributed by Lionsgate. Shooting took place across a summer in Ireland, which doubled for Concord, Massachusetts. But with Alcott’s story set across all four seasons, the crew were tasked with recreating numerous conditions. Behind the camera was director Vanessa Caswill, whose previous credits include BBC psychological drama Thirteen. 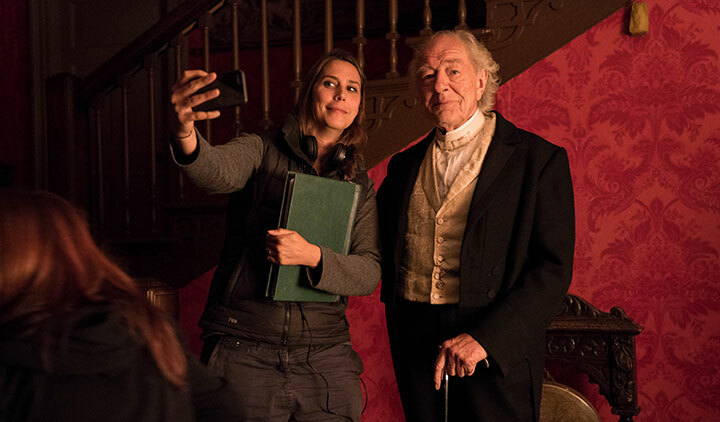 She joined the production in April 2017 and began work a week later, scouting locations in and around Dublin before heading to the US to visit Orchard House, the building in which Alcott wrote Little Women and which is also the story’s setting. Gardiner describes Caswill as a “very lyrical director, very emotional and very physical.” And before shooting began, Caswill spent a week with the cast in rehearsals – the main aim of which was to turn the cast into the family they would play on screen. On set, Caswill used handheld cameras to achieve the level of intimacy she desired, describing these as being like a “fifth sister.” She also shelved traditional blocking techniques, instead looking to feature all four sisters in shot at once to create the idea that at the start, they are a “four-headed monster” but by the end, they have all splintered and are following their own lives. “We don’t see enough female protagonists that aren’t being abused or aren’t mad,” the director adds. “This is about really wholehearted women who have integrity and who are becoming women, understanding the world and finding their voice in it and expressing it and doing it through being good. That’s extremely current and important because we don’t see that enough. We see all the darkness and very rarely the light.